The community, established as part of the Personal Ordinariate of Our Lady of Walsingham adopting the Benedictine rule, includes eleven sisters who had been part of the Anglican Community of St Mary the Virgin in Wantage Oxfordshire and one, Sister Carolyne Joseph, who belonged to an Anglican community in Walsingham. 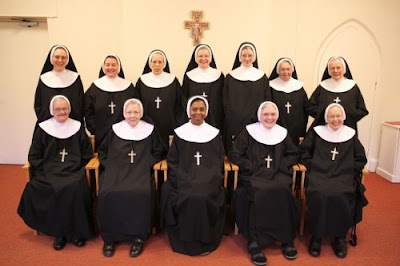 With no endowments to keep them afloat financially, the sisters have been living for the last eight months as guests at an enclosed Benedictine abbey on the Isle of Wight. “The abbess and the community there shared their Benedictine life with us and welcomed us into their hearts in the most wonderfully generous way”, Mother Winsome said. “It has been a life of complete harmony and joy and it will be a wrench to leave. But we are pleased beyond measure that our journey of faith has taken this new direction”. The provision of Benedictine hospitality through retreats is central to the community’s charism. Their intention is to earn a living at their new home by offering retreats and the ministry of spiritual direction. The Benedictine Sisters on the Isle of Wight have been very kind in offering hospitality to the Sisters of the Blessed Virgin Mary and is a mark of their generosity to the Church as a whole. The flourishing of contemplative orders is an indicator of vitality in any local Church and such communities have an impact way beyond the confines of their enclosure. I wish the Sisters of the Blessed Virgin Mary well in their new home.